I am drinking espresso more than coffee and wanted to get something good to make espresso at home. I had a Breville previously and had some problems. I don't care about any features other than espresso pull (no milk frothing / bean grinding). Easy cleaning and small footprint would be a plus. I'm willing to pay a decent amount for something good that would last. Any advice would be much appreciated. I don't know what your budget is but I'd look at the Quickmill Silvano machine first. I have Rancilio Silvia and it's a very solid machine but not especially forgiving of your technique. You will need a high quality burr grinder if you don't have one. Hello Im Espresso addict and my pick is Gaggia Classic .Very simple and effective machine for good cap of morning joy! Good luck. My budget is not strict, but I am not really looking at the 1k+ machines. $500 (give or take) would be better if it makes a great cup. (08-20-2014, 08:27 AM)guildx500 Wrote: I don't know what your budget is but I'd look at the Quickmill Silvano machine first. I have Rancilio Silvia and it's a very solid machine but not especially forgiving of your technique. You will need a high quality burr grinder if you don't have one. Agree completely Prices vary greatly. The fact that you don't want steaming helps. But leave room in your purchases for company. most people like Foo Foo milk based drinks. Silvia good solid machine to build skills on. Very unforgiving. Good resale value. The best online store is : http://www.wholelattelove.com with huge selection and best prices ,detail photos, free shipping , no tax ! I agree with others that you need also a good grinder too. Thanks everyone! I really appreciate the suggestions. I have been learning a lot and look forward to learning more. I have a Bodum adjustable burr grinder but will be upgrading. (08-21-2014, 08:36 AM)waveflow Wrote: Thanks everyone! I really appreciate the suggestions. I have been learning a lot and look forward to learning more. Have you thought about lever machine? If you are willing to go with a lever and your espresso consumption isn't too high you could pick up a used La Pavoni Europiccola for well under $500. Thanks! Is there a good reason to get the Mazzer mini over the K3 touch? After a grind there is a lot of clumping of the grinds due to static electricity. The static is caused by the agitation of the beans during the grinding. The doser breaks down the clumps and delivers a evener dose of grounds. Mazzer mini has been around for years is very trusted and retains it's value. In addition parts are easy to obtain. 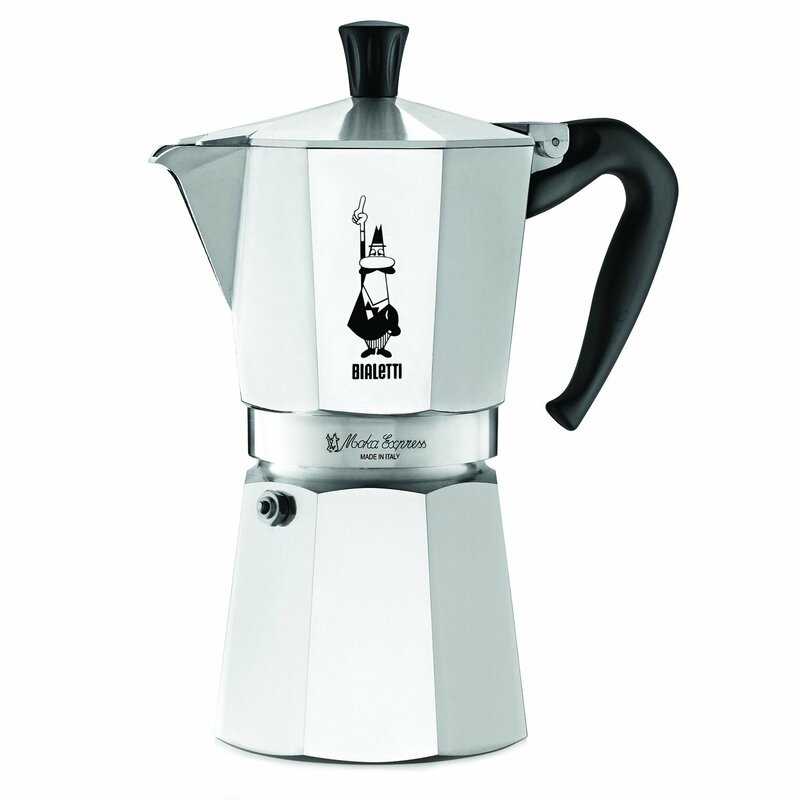 Take a good look at the Bialetti Brikka. It makes just as good coffee as my mother's $1000 coffee maker and she can't taste the difference. It, however ONLY brews great coffee with Italian style espresso beans. You can't use Starbucks beans in it. I'm looking for an espresso machine that is small and not very expensive, too. Currently I have Aeropress and Hario V60. I plan to add Chemex to try ultra clean brewing. What do you guys think about Nespresso machines for dorm considering I won't have a big electric grinder? I plan to use Sozen Turkish Coffee Grinder and a Hario Skerton. I've been through a few and cheap ones tend to tie in a couple of years. Strongly recommend Rancilio Silvia given your budget. I am a fan of the Capresso machines. I think they do a great job and are priced reasonably. You have to ask yourself if your looking for a fully or semi-auto espresso machine. Do you want more control with the ability to grind and tamp or do you just want to push a button? If semi-auto there is no simpler machine than the coveted Arrarex Caravel machine. Cult following for it's ease of cleaning and dis-assembly. If fully auto push button well you'll have to do some research. We've been using our ILLY Francis Francis X1 everyday for the last 6 years without fail. Great machine and looks awesome too! (05-04-2017, 09:29 AM)Kojak Wrote: One word! "Bialetti"
Bialetti is the original and the standard-bearer for so-called “stovetop espresso” or, more commonly, “moka pot” coffee. There are many other, higher end, moka pots on the market these days, still made in Italy (specifically, the area east of Milano and west of Venezia); much of Bialetti’s production has been moved to India (but the product remains fairly good). If moka pot coffee is your thing, look into the offerings of Vev Vigano (especially the Kontessa line) and GAT (especially the Carmen line and the Konica line). Those moka pots are made of stainless steel (Bialatti moka pots and their clones generally are made of aluminum), and — a real bonus — are induction-compatible; induction “burners” are the ideal energy source for the making of moka pot coffee.